IF YOU WOULD LIKE TO BE ON OUR UPDATE, CONTACT LIST JUST SEND ME AN EMAIL, AND IF YOU HAVE ANY QUESTIONS ABOUT GETTING A PUPPY PLEASE, DO NOT HESITATE TO CONTACT ME. 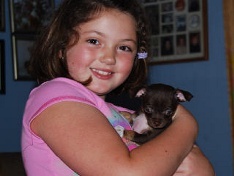 Shelby Lynn and Victory's Wee Laddie Zeus....These 2 angels are my Daughters Chi's. 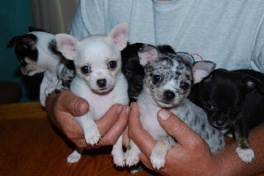 All grown up now They are 2 very tiny Teacup Chi's. 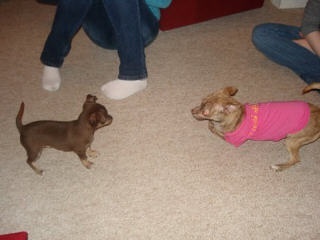 Zeus weighs just 2 pounds and 14 oz....And itty bitty Shelby weighs just 2.2 pounds. Melissa Loves them Dearly, and can't ever imagine her life without them. Everyday when she gets home from work, they are there to greet her at the door. 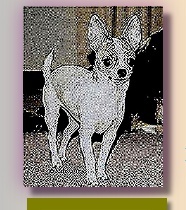 And if she has had a hard, long tiring day, It just melts away as soon as her sweet Chi's come to Greet her........YEA!!!! This is Fiona. all grown up now she is a tiny girl. 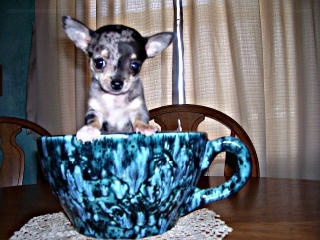 she weighs just 3 pounds. she is melissa Quest's tiny girl. Melissa loves her with all of her heart. Fiona is one Pampered, and Loved Little Girl!!!! Here is another picture of Fiona with Rocky. They love each other so much. 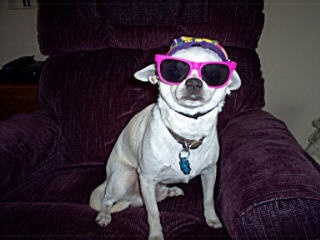 Rocky is a Little dude too. 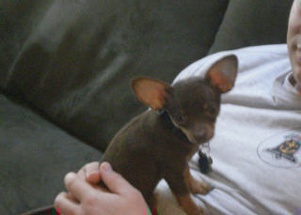 He weighs 3 and a half pounds. 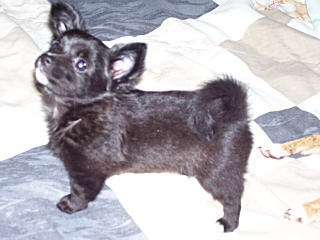 This is our Tiny Yanny. 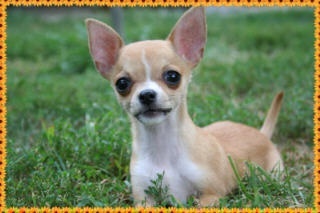 Born here at Victory Chihuahuas. All grown up now she weighs just 3 and a half pounds. 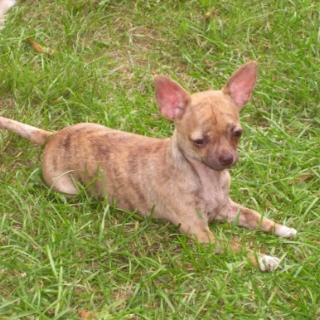 She is my Son Rob's and his family's Chi. She is a Funny, sweet, friendly little angel. everyone that visits my son want to have her. She is Loved Dearly, and Spoiled beyond compare!! This is Dhatri. What a Gorgeous Little guy he turned out to be. 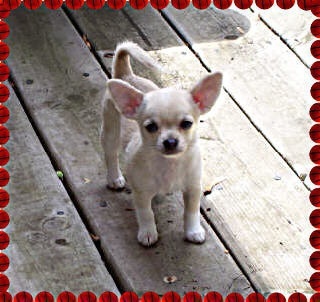 all grown up now, and weighing just 4 pounds, he is the love of Stephanie and Adam . They love every minuite of their lives with him, and can't think of their lives ever being without him. 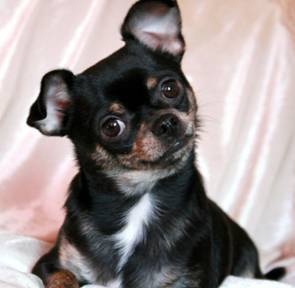 They Rave about what a wonderful Chi he is. And everyone that meets Dhatri Loves him. He is SUPER FRIENDLY, an all around SUPER LITTLE GUY!!!! "Everything has gone so wonderful for us with our 2 boys, we can never thank you enough. 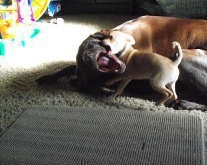 you will always hold a special place in our hearts....we believe....NO....WE KNOW..we have hit the Lottery when we got another puppy from you"
This is Elliot and Peanut playing. Mary sent this Picture. Elliot is her boy she got from me, and Peanut is her mom and dads Girl they got from me. 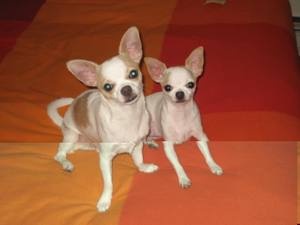 These 2 chi's totally Love each other, and they Love to run and play. They are Hillarious characters that keep everyone Laughing..lol..
Another UPDATE..on little gracie. she has stayed a super tiny little angel. weighing 3.5 pounds. She is the best fur baby i have ever had, and i think i have had some pretty wonderful kids. She is smart, funny, loving and feisty. She loves everybody which is so wonderful. Thanks again for such a wonderful baby. 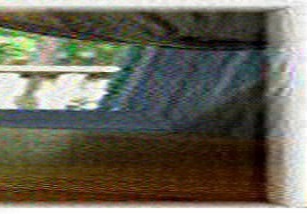 We think of you often with great affection, and apprecieation. terry and kate. This is Octavian. His Mom and Dad are Helen and Peter, and they are so Very proud of him. Helen is an Executive manager for Oscar Mayer, and Octavian was recently cast in some commercials for Oscar Mayer. They have aired in Canada. We hope to see his commercial in the U.S. soon also. I have to admit that is pretty exciting. 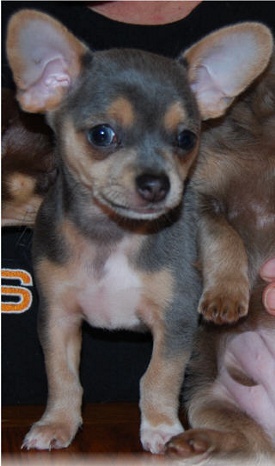 Octavian is a Gorgeous Tiny Little Dude weighing just 3.5 pounds. This handsome guys name was Moose. 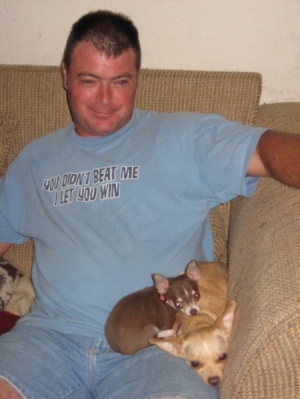 He belonged to a wonderful couple named Kristi and Joe. Moose recently past away. He is Dearly missed by Kristi and Joe. He was their wonderful loving Little guy, and my heart hurts for them, and for Moosey. We Loved you Mossey. You will be thought of often. And missed every day. Ava..a Beautiful Little Girl. All grown up, She weighs 4 and a half pounds. 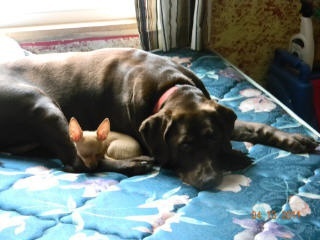 Ava owns a sweet girl named Kennzie..lol.. Kennzie tells me that Ava is a Fantastic Little companion. A Super Friendly, Loving Sweetheart!!!!!!!! Issabella....oh my god....so beautiful.Baby Issabella was adopted by jennifer and joe from me several years ago. 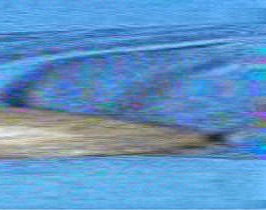 here is a pic now. All grown up she weighs 4 pounds. everyone who meets hers says they have never met a friendlier dog. she absoulty loves everyone. even strangers..lol.. Here is another pic of Issabella, and her brother Bruno. They are acutually brother and sister. ( litter mates). Bruno is exatlly like Issabella in his personality. He is also SUPER FRIENDLY with everyone even strangers. 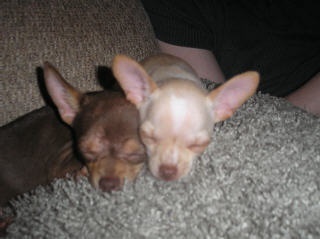 And Bruno and Issabella look very much alike too, except Issabella weighs 4 pounds and Bruno weighs 6 and a half pounds. So this goes to show you the different sizes you can get, even in the same litter. UPDATE from Milo's new Mom Rachel....I can't get over how amazed I am that Milo Was so perfectly potty trained right when we got him from you. He goes potty outside every time, and he has no accidents in the house. Milo is such a smart Little puppy. We just got Milo his Idenifcation Tag, and it is Bigger than he is..lol..Thank you Vickie for our super wonderful Little guy. From Rachel, Clay and Mary. WHO IS THIS MAN? ?...Well his name is Clay, and thats all I can say..lol..
Or perhaps he is Paulie Teutul, a Celebrity who's family has a reality show called....Orange County Choppers? ?....I have recieved a couple of really nice emails from people congradulating me on selling one of my puppies to a celebrity. 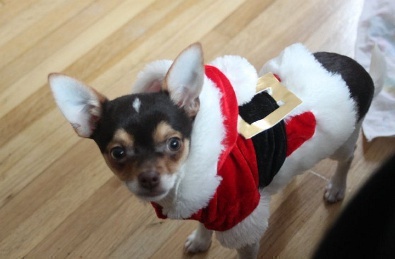 And of course also telling me that Milo is Adorable..lol..THANKS Everyone!!!! 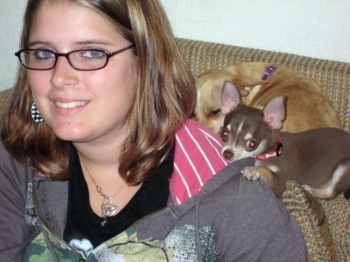 This is Christine with Luna and Jasper. I love this picture. It is just so adorable!!!! Stephanie sent me a New updated picture of Dhatri. A tiny little guy she bought from me 3 years ago. 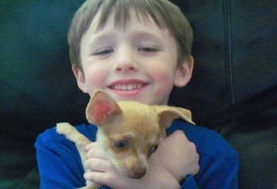 (he is the Little cream colored Boy on the left. 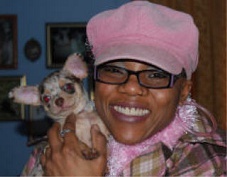 )Here Dhatri is pictured with Icobod her other chihuahua. A blue merle boy. (Pictured on the right.) 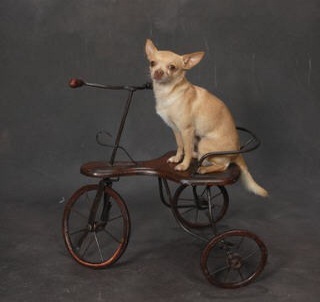 Icobod is Not from VICTORY CHIHUAHUAS. 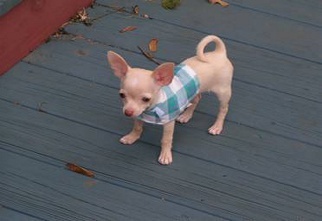 new updated picture of Milo. He is a Little dude. 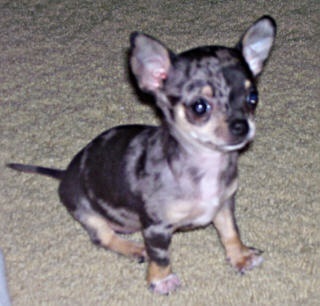 He weighs 2 pounds..ha ha. What an AWESOME, AWESOME Little Dude....YEA!! Updated pic of Ava....This picture was misplaced but recently found again..lol.. GORGEOUS,FUN LOVING, PERFECT ANGEL. She is all grown up now. 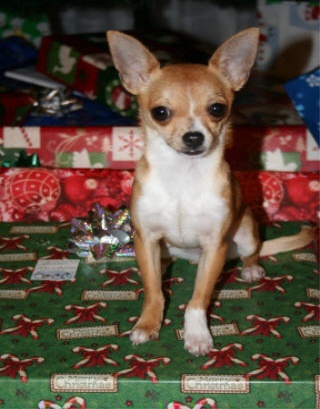 Full grown Ava is just 4 and a half pounds. This is ultra tiny Mia. Her mom and Dad are Colleen and Jim Romag. They just sent this pic to me. 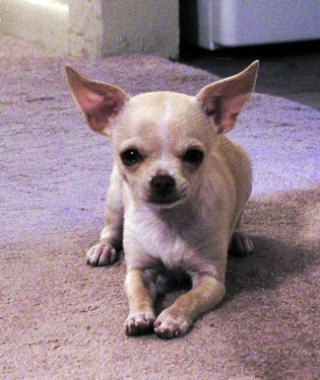 She is such an Adorable, Wonderful Little Chihuahua. All grown up now Mia weighs just 2 pounds and 5 oz. 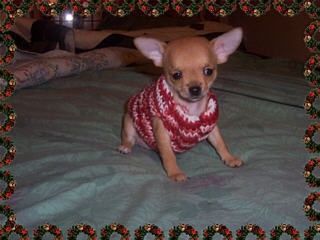 Another Very Tiny Chihuahua from Victory Chihuahuas. This is Mr. Pickles. with his new mom Ming. Ming is such a Super wonderful Lady. She was so excited to get Pickles. 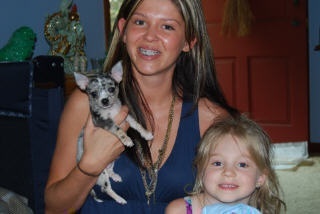 She wished for a Gorgeous Exotic Merle boy, that looks like his mommy. And her wish came true. 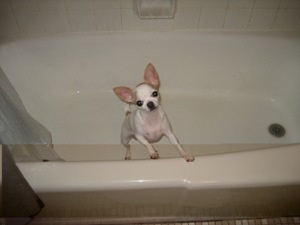 Ming and her family have the puppy of their dreams to love, and cuddle, and Pamper. YEA!!!! 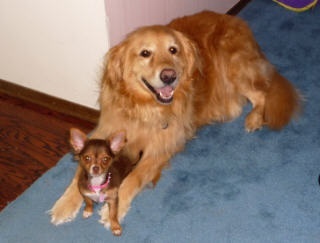 Here is Zoey Sparkle with her new girl Stacy....Here is the UPDATE we recieved about Zoey. 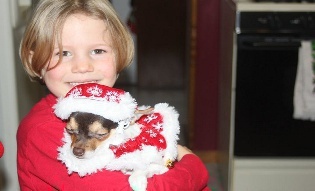 Dear Vickie, We are so thankful to have Zoey in our family! She is a very smart girl. 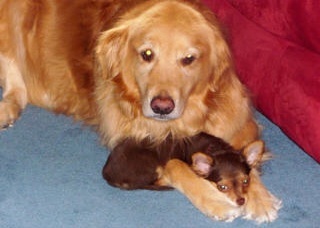 Zoey and our Golden retriver Riley are BFF's. She went to our Vet and he complemented you on what a Healthy and Beautiful puppy Zoey is. 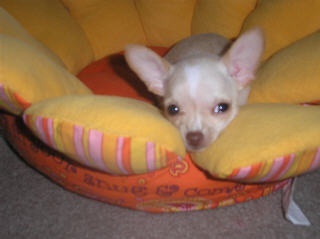 We love Zoey soooo much and everyone that sees her says she is the cutest puppy they have ever seen!! TTYL Denise, Rich, Stacy and Chad. Here at the Collins home we are Super THRILLED that Zoey has an Exceptionaly Loving family to spoil, and pamper her. Zoey is one Lucky kid!!!!!!!! 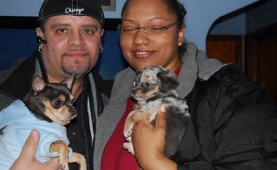 This is Beth and Brian with their New baby Nysa, and their Boy Smokey. Nysa is really getting one of the most wonderful homes in the World with Beth and Brian. I just love this couple. The world Is a better place by far to have people like Beth and Brian in it!!!!!!!! 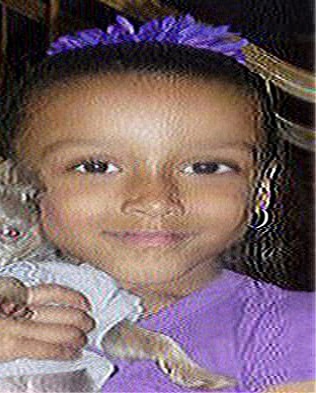 UPDATE ON NYSA..Hey Vickie, I wanted to give you an update on Nysa. She is doing great!!!! Her first Vet visit went very well, they were excited to see her and said that she looks great, and is just Beautiful. She is spunky and adorable. 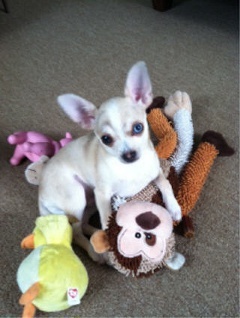 She loves to play with a million toys. 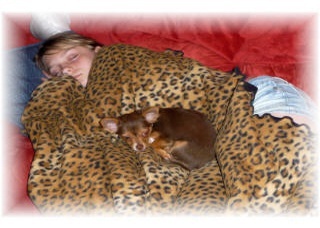 She plays hard and sleeps hard..lol.. She is attached to me, and follows me everywhere. I Just love her!! We can not thank you and Bob enough for her. You were right when you said that she would help fill in my heart. We have only had her a short time, but I can feel my heart beating again. She fills my heart with so much Joy. Thank you!! 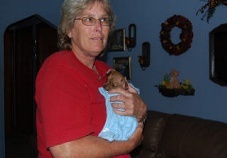 UPDATE ON PICKLES....Hi Vickie, we want to let you know that Pickles is doing GREAT!! The whole family loves him so much. Pickles really loves my husband and the cat..LOL Thank you again for alowing MR. Pickles to become part of our family. Here is an updated pic of Zoey Sparkle....God she is so very Gorgeous!!!! This little guys name is zen bodhi. 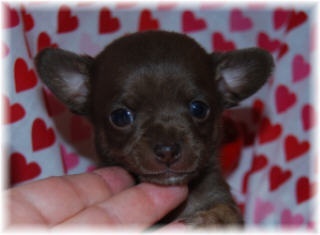 he is a puppy from one of my friend patty's litters of puppies. she recieved this update on bodhi, and i wanted to share it with you. it is long, but worth the read....so i took bodi to visit the old folks home today, specifically the people at the assisted living facillity. he loves it there, but mostly he loves the people in the memory garden..(AKA the alzheimer's unit). it is AMAZING!! how they come out of their dementia and interact with him and me. clearly therapeutic, i swear to you..these people may rarely say anything that makes sense and i bring bodhi in to visit and they have an entire conversation with me as they pet him. (a conversation that is completely appropriate, makes sense, is in context..etc..HUGE for them.) he truly is an awesome dog. we always joke about how he's not exactly zen,....or doesn't live up to his name, but he really does....he is spunky and full of life, and he has his own method of..zen.. he reaches people who are in so many other ways....lost. just thought i would share that with you....THANK YOU PATTY, AND THE WHOLE SMITH FAMILY....as his breeder and first human mommy, you are part of the way he is. thank you and your family for loving him so much, and socializing him so well....he is making a difference in the lives of people who are often forgotten. UPDATE ON ROCCO..I just wanted to let you know that rocco is doing wonderful. He hasn't had any accidents in the house. He really is everything you said he was, and I absolutely LOVE him. Thank you so much for taking such good care of him. He is a great baby. And he is loved SO much!! 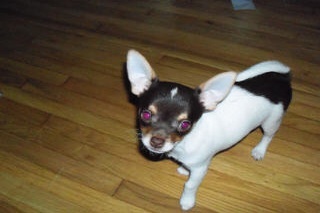 Aimee....Rocco lives with his loving family in South Holland IL. This is Jusgie. She has a wonderful family. 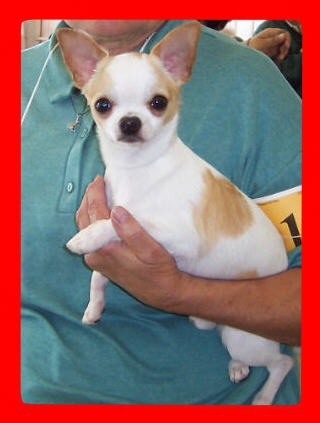 She lives with her new mom Terri, and her kids in Sun Praire WI. 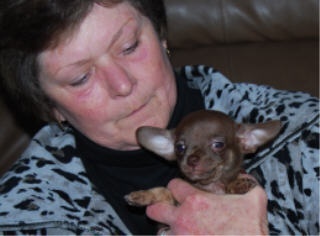 Jusgie is the second puppy Terri has bought from me. She got Snickers from me last year. 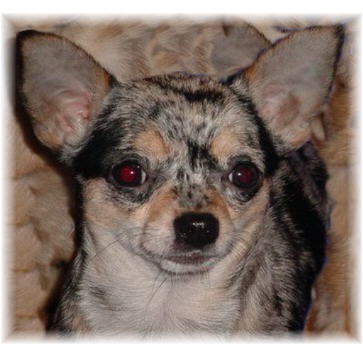 She loved Snick so very much that she just knew she had to get another chihuahua from me. 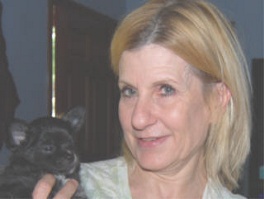 She told me that Snick is the most wonderful dog in the world, and she knows she could never live without him. And now Jusgie will have this wonderful home too. I am so happy for this Awesome Family!!!!!!!! 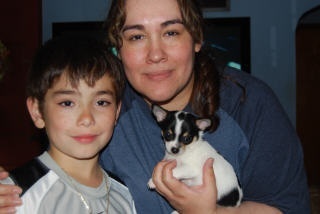 This is T.J. and his mom Tina. They live in Belivdere IL. T.J. lives the live of fun, and excitment. Traveling around camping, and fishing with his new family. I am so happy for this Little guy. What a great life!!!!!!!! THIS IS COOPER WITH HIS NEW MOM KATE AND DAD JIM. THEY LIVE IN MACOMB IL.... It made my heart feel glad that this Little guy got such a super wonderful home. Oh my GOD he is so pampered, and so very much loved. Kate let me know that Cooper is doing wonderful. Such a great puppy. So very happy, and Loving. Congratulations Kate and Jim. A wonderful puppy for a wonderful home!!!!!!!! 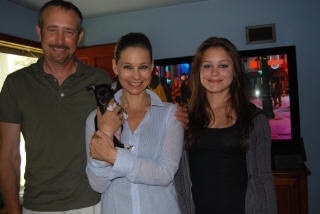 Here is a family picture of Kate and Jim with their cat Layla, and their little Chihuahua Cooper that they adopted from me. Thank you Kate for sending the picture and update on Cooper. Kate tells me that Cooper loves to go on walks with his dad, and he loves snuggling with mom. They love him so very much, and I am thrilled that he got such a wonderful family. he is one Lucky Little guy. 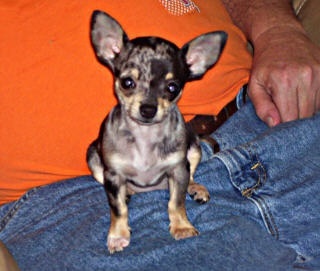 This is EASTON, Named after the EASTON bat..lol.. She is a super Tiny girl. One of my Pick of the Litter puppies. Her new home is in Henry IL. 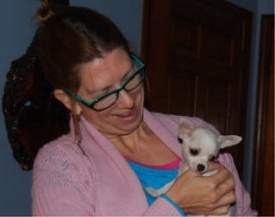 With her new mom Lori. This Tiny girl has a wonderful home. Lori Loves her so very Dearly. She is one Lucky Little Kid. UPDATE..On Easton..Last Weekend we attended a Dog event in Chicago called "Dog Day on the Green" I bet at least 50 people took a picture of Easton with their cell phones. Every booth I went to had to hold her or pet her and take her picture. A guy from channel 2 saw her and said I just have to get a picture of her. The highlight of the day was when a guy from the Chicago Sun Times newspaper came up and introduced himself and asked my name, town, and Eastons name. Then he took pics and I don't know if they were in the paper, but I did find them in their photo gallery on their website. Easton truly is a Little Diva. She poses for everyone. All I had to do was stand in one place and she was a giant magnet attracting people to us. So, needless to say she was a Big Hit and got some great socializing. She slept all the way home to Henery IL from Chicago. She was all worn out from her photo sessions!!!! Beautiful Easton. 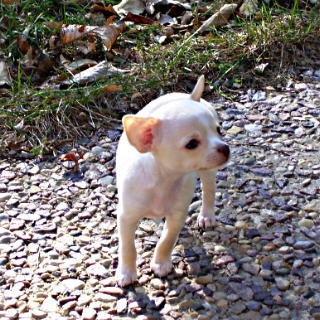 She weighs Just 2 pounds. 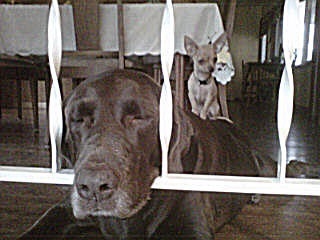 Update....Here is a picture of Diego and Baby Grace, Sent to me from Jackie. She tells me that Diego and Baby Grace Love each other. Diego is a Great Little guy. And they love him very much. I am so Excited for him, he got such a wonderful home. He is one Lucky Little Dude. 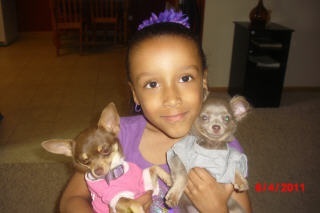 ....new UPDATE..My Granddaughters tried to take Gracie and Rex home on Saturday. they had one in the car and the second one on the way when I caught them. But Gramme we love them was the excuse I got. It was hard not to laugh. But They are mine and Grandpas I said! I feel selfish, but They are our life, our reason to get up in the morning, Little wet Kisses!!!! Thank you Again!!!! As you can see Vickie, she has grown into an absolute Beauty. She still has her short little legs. It is hard to believe we have already had her for 2 years. The fact that she was perfectly potty trained when we got her from you at 9 weeks old, just makes it more wonderful, and we plan to get another puppy from you soon. We LOVE her with every bit of our hearts. And we thank YOU from the bottom of our hearts. 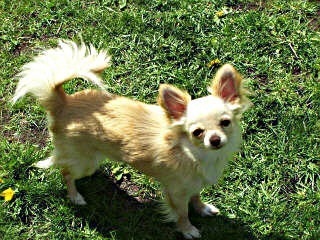 She is the perfect Chihuahua in every way!! I got this new picture of Jaden from his mom Nicole, and her Daughter Kenna. Jaden is 6 years old now. He is so Gorgeous. Nicole tells me he is just the Greatest little guy ever. She told me he is an Amazing Chihuahua. And an Amazing Friend, and an Amazing Companion. Her and her family love him with all their hearts. I personaly think He is one Lucky Little Guy to have such a Wonderful and Loving Family. It makes my heart Glad to know he has such an Amazing Home!!!!!!!! Vinnie and Eli....How Perfectly Gorgeous. I love this Picture. Thanks for sending it to me Patty. 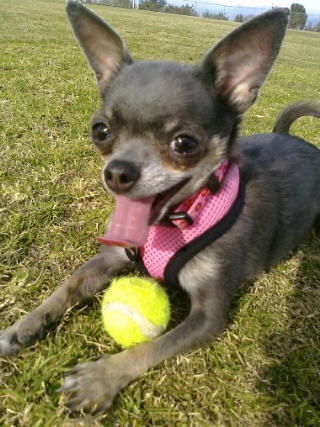 OH YES...She is one of the Most Beautiful Chihuahuas In the world. 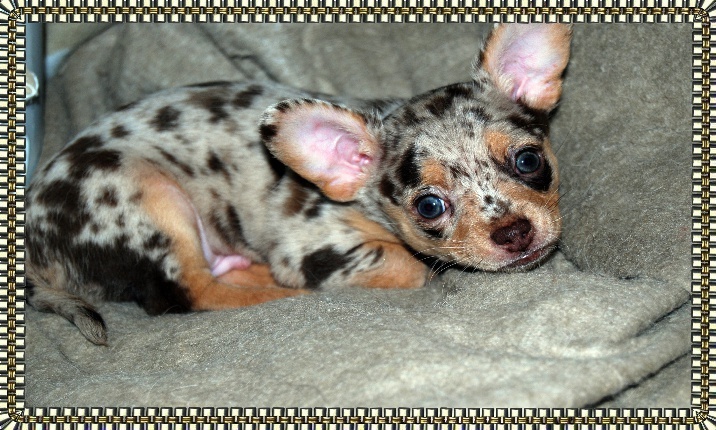 And the Most Beautiful Merle Chihuahua in the World. This is what everyone tells us. Thank you again Vickie. Thank you, Thank you, Thank You!!!! I got a wonderful Update, and some wonderful pictures of little Sasha today. Her Dad Luke, and her Mom Marie Love her So Very Much. They wanted to thank me again for their Lovely Sasha. They tell me she is so very well Behaved, And She is PERFECT in Every way. UPDATE..Henry is such a silly guy. all grown up now he weighs 5.5 pounds. 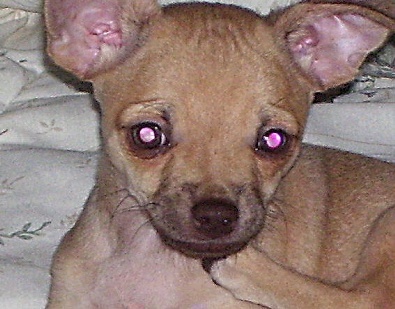 Look at him, he is the most gorgeous, smartest, Chihuahua in the World. People can not believe how friendly he is. 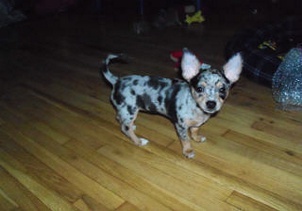 I have had several people trying to buy him from me. 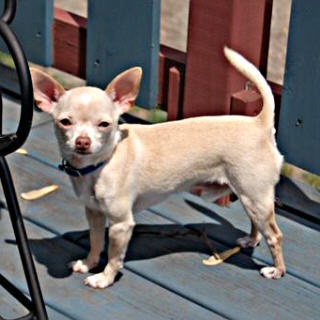 I would never ever part with my Angel boy, but I tell them just go to Victory Chihuahuas if you want one like Henry. This Beautiful Little Girls name is Chloe. I recieved this update from her Mom Andrea. Thought I would send you some updated pics of Chloe since she just turned 5. 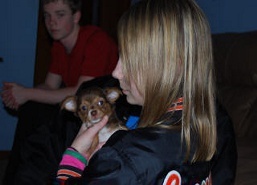 Wow hard to believe how much time has gone by since we brought her home from your house. 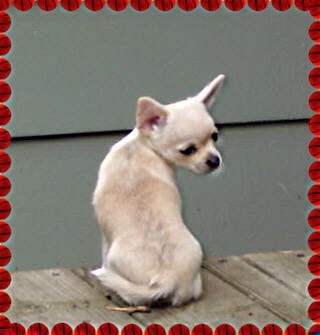 She is a slender girl, and weighs just 5 pounds. Even though our son Elliot Gives her unauthorized treats. Our son Elliot turned 3. She loves when Elliot sneeks her Snacks..HaHa.. Chloe has been my constant companion over the last 5 years. getting me through 3 deployments and many tours of duty my huband has been on. I couldn't have asked for a better dog. She is beloved by all of us, but I think especially me:) I hope your family is well. 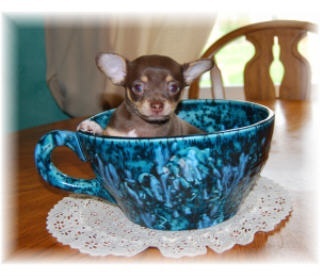 I check your site often and love looking at all your Chihuahua Babies. THIS IS 3 NEW PICS OF BRUNO AND ISABELLE. THEY WERE ADOPTED FROM ME 6 YEARS AGO. 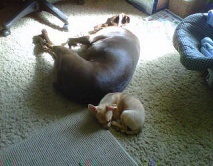 THEIR MOM JENNIFER SENT ME THIS UPDATE. 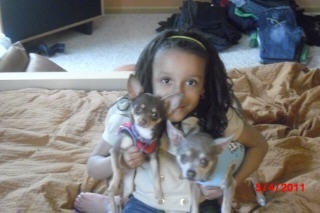 I just wanted to Send you a quick message to let you know how Gigi's Babies Isabelle and Bruno are doing. 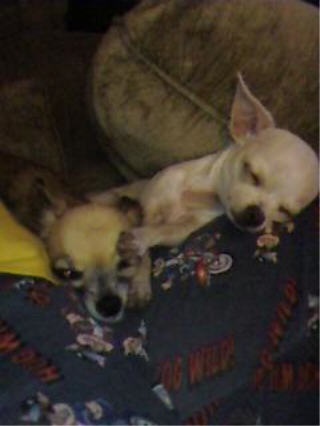 I can not thank you enough for bringing these wonderful Little Chi's into my life. 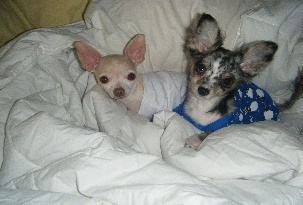 They Truly are my everything, and are incredibly spoiled :-) These two are still as spunky as ever and Loving life!! They love their bones, they Love their playtime with one another, and most of all they Love their snuggle time. I don't know what I would do without these two curled up next to me on the couch or snuggled under the covers with me at night. I hope all is well with you and your Chi Family!! Here is Sophie. 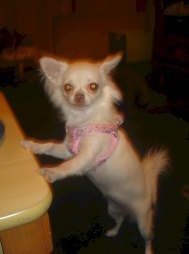 I recieved lots of updates and pics of Sophie from Vicki, She is Sophie's Mom. And here are the things she had to say, Sophie is so wonderful, She is a huge part of our family. 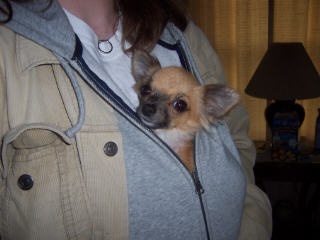 We had always had large breed dogs, and have 2 young boys so we were a bit leary of getting a tiny Chihuahua. But I had always wanted one. 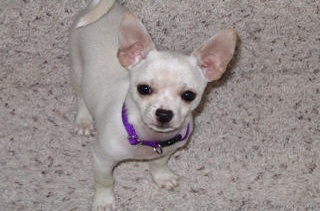 Once we got Sophie, and know just how wonderful a Chihuahua is, I now know Chi's have just gotten a bad rap. Our Sons couldn't be happier, they love Shopie so much, and She loves them Completely too. Sophie also adores our German short Hair Bella, and Bella adores her in return. They are always together. They eat, play, potty and sleep together. They are the best of friends. It is easy to see why you bred these little angels. We have had such a Wonderful expereience with Miss Sophie, and I know we will get another Baby from you in the future. Update from Mary....Hi Vickie. We Loved Gracie and Rexy that we bought from you last year so much, I just knew i had to have another puppy from you. So I came back this year and got Little Coco. 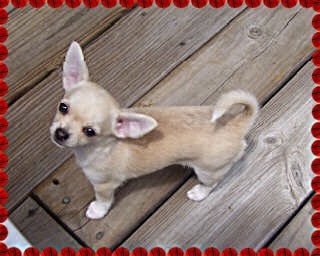 You have the Most wonderful Chihuahuas in the World. They all have such fantastic personalities. They Love our Grandchildren. And our Grandkids love them too. Just took Coco for his last Vet Checkup. He is still so super Tiny. He has not grown at all since his last vet visit. They weigh him on the Kitty scale. 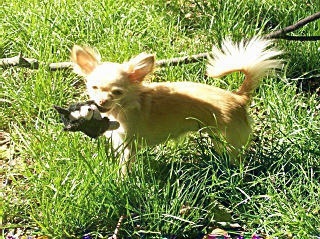 He still only weighs just 2.3 pounds. He is So Wonderful, and so tiny. UPDATE on Marty, From Claudia....We love Marty so much. He is such a Great pup. My Sons love to run and play with him. I have to tell you he has not had one single accident. I am so proud of him. Thank you so much for my Little Angel. He is just wonderful. A quick update on Chi. What can we say. We have fallen in Love with him!!!! He is doing Great, eating well, and already potty trained. He makes us smile, and laugh all day. he is such a little Character. He is very Spritely and lively. we are truly blessed. Thank you for the wonderful addition to our family. Falkors new home is in Yorkville Il, with shelly and her family. They couldn't be happier with their Sweet Little Angel Boy. They are Thrilled. 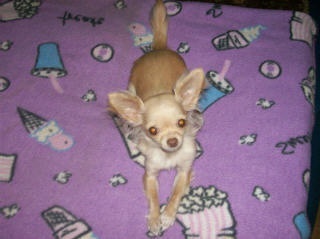 UPDATE on Coco from Paul and Laura....Coco is such a well mannered Girl, we all love her, and are so happy we got her. She is spoiled rotten. She loves the pool. Everyone who sees her goes crazy she is so beautiful. 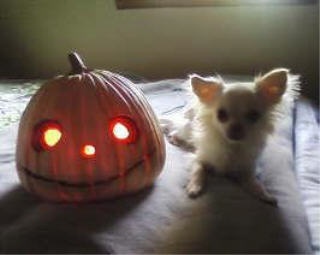 Thanks Again....Coco has such a wonderful life with Laura and Paul. They are a Fabulous Family. 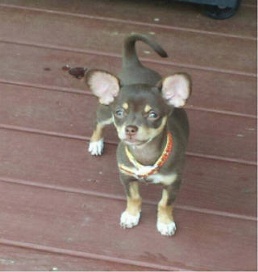 Here is an Updated Picture of Tiny **Lady Bethany** Her new mom and Dad are Hannah and Dan from Indianapolis Indiana. They came to Visit with Lady Bethany, And as soon as they saw her they fell in love with her Immediantely. 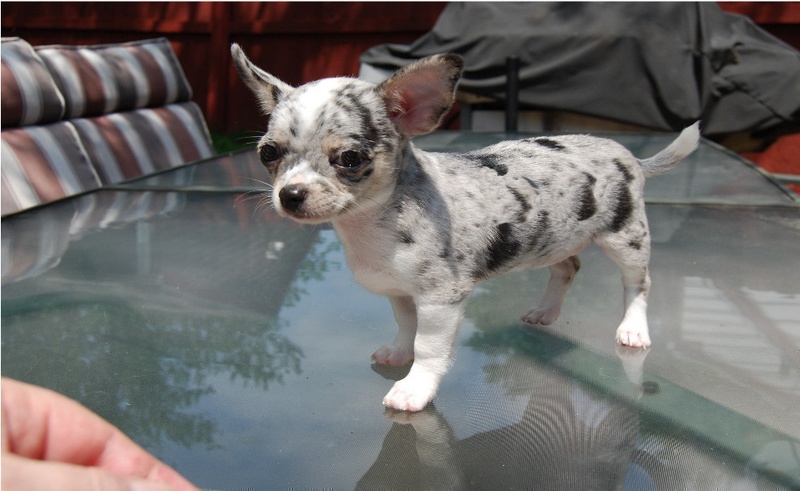 It made me proud to hear Hannah tell me she had been searching everywhere for a Show Quality Merle Chihuahua for over 2 years, and could never find one until she came across my website. 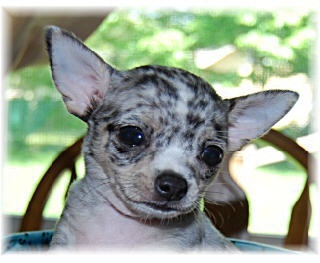 She said she had given up trying to find a Show Quality Merle Then she saw the Merle puppies on my PAST LITTERS 2 Page. She said that no one elses Merles even come close to mine in Quality. When she checked and saw that (Lady Bethany) was available she was ecstatic and called me right away. They Love that Lady Bethany is Absolutely Gorgeous, and they Love her Wonderful Out Going Friendly Nature. 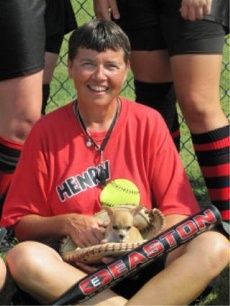 Hannah said that Lady Bethany was the most Beautiful, and Most Friendly Chihuahua she had ever met. I am going to miss this Little Girl, but I know she is getting a Fantastic home with Hannah and Dan. They have already bought her tons of Fancy Clothes, Tons of Toys, But most of all they have Tons of Love to give her. So Very Beautiful, and Super Sweet too!! Our Tiny Man Oscar has stayed so very tiny. He is so very precious to us. We Love him so much. Thank you again and again Victoria for our Tiny Oscar.